Within the team, we’ve got over 12 years experience working in and with hospitality businesses in Wales – especially hotels and self catering cottages. 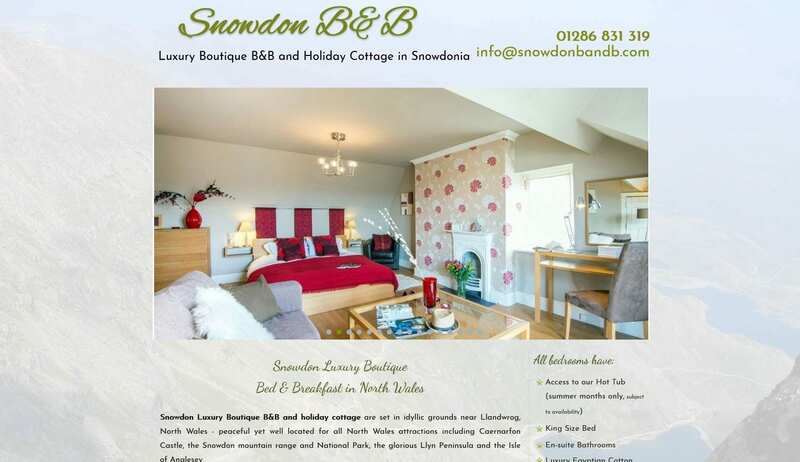 We’ve designed and developed a number of websites for hotels and B&Bs to enable owners to take direct bookings and promote their facilities to agencies, businesses and guests. We would always recommend looking for an online booking calendar, be it embedded from an agency or one we can provide for you to update as and when. Online bookings are on the rise, and it means guests can book 24/7. Entice guests to stay with you by sharing your local knowledge – work close with local businesses and offer some great discounts on local activities and attractions. We can also offer amateur photography services at an additional cost to the website, as well as copywriting services if you feel your writing skills aren’t quite to task. 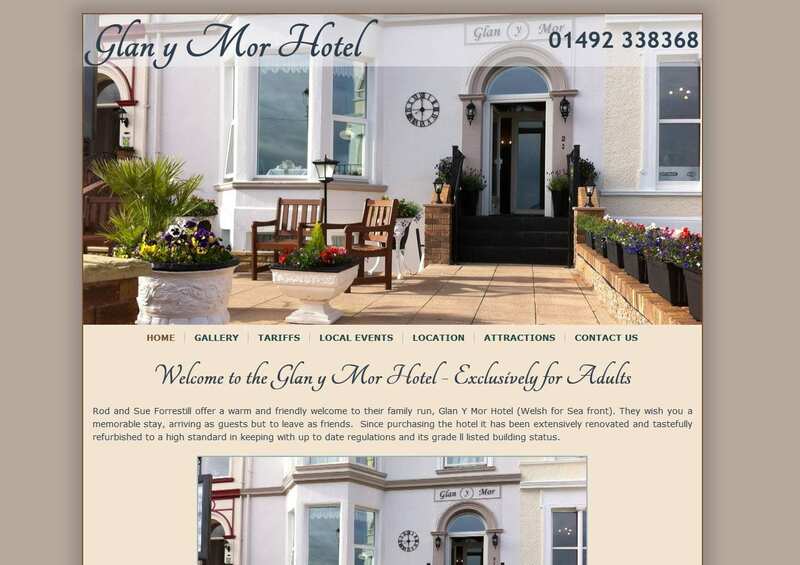 With every website, we highly recommend a strong social media presence – we’re happy to give free help and advice, and we’d love to work with you on a digital strategy for your accommodation in Wales.